Discover 16 coworking spaces. Reserve one Today. You can pick them up at one of our main pick up hubs or at most participating spaces. Step 2: Go Cowork! You have 17 spaces to explore. The passport is sectioned by neighborhoods and has a map so you have a good idea of the most convenient spaces. Each space also has a brief description of their culture, amenities, and general price point. We recommend you try at least 5 spaces. Step 3: Rate each space. There is a rating system at the bottom of each space. Use this area to keep track of the atmosphere, the Wifi strength, coffee, and the community vibes. Here is a blog post about what you should look for in a coworking space. Step 4: Make it Official! Join your favorite space and get $50 off your first month. Want to bring a coworking Passport to your city? 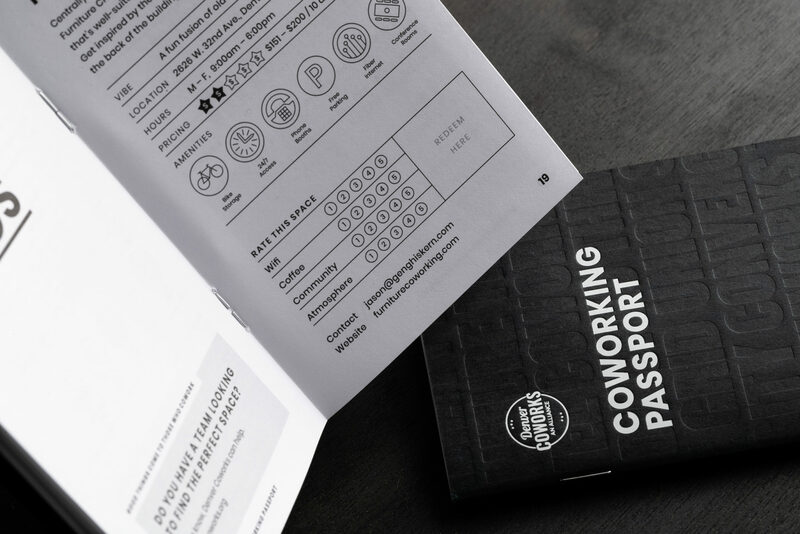 The Coworking Passport was developed to help independent coworking spaces get discovered by more remote workers and freelancers. Let the passport help your city thrive. Denver Coworks is an alliance of coworking spaces in Denver that are working to make our communities stronger while building awareness of the exciting coworking movement. By working together, we will help make each other better by sharing the lessons we’ve learned and discover new ways to better serve our members. Founded in 2012 by Craig of Creative Density, Jennie of Green Spaces, and the entire crew of Shift Workspaces.